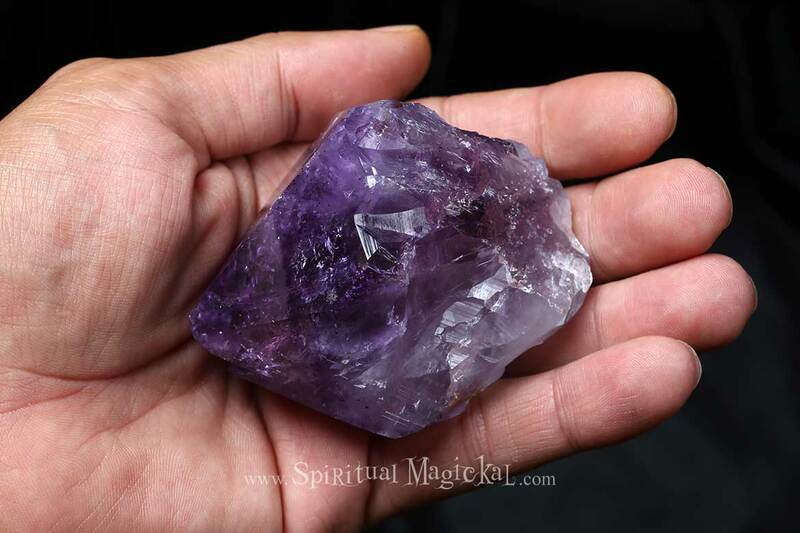 Amethyst Crystal, Raw, Natural, Healing, Brazil. This particular crystal measures 3-3/4 inches long (9.5cm) and weighs 7 ounces (199 grams). Amethyst healing properties also include bringing clarity of the mind and helping you to become more in tune with your feelings, getting to know yourself on a much deeper level. Amethyst stones also stimulate the crown chakra and calm your thoughts, making them a wonderful healing gemstone to meditate with. One of the most important of the amethyst healing properties is its ability to attract positive energy while simultaneously ridding your body of negative energy - which includes feelings of stress, anxiety, fear and other negative emotions. Amethyst crystals and gemstones can also be used for healing, meditation, addictions, pain (physical, emotional, and psychological), protection, purification, opening the 3rd Eye chakra, calmness, sobriety, decision making, recurrent nightmares, geopathic stress, hyperactivity, anger, rage, fear, anxiety, grief, neural transmission, dream work, scrying, divination, intuition, visualization, psychic attack, dispelling illusions, alcoholism, hormone production, endocrine system, metabolism, cleansing and eliminating organs, immune system, blood, headaches and migraines, bruises, injuries, swellings, burns, hearing disorders, lungs, respiratory tract, skin complaints, cellular disorders, digestive tract, regulating flora, removing parasites, insomnia, psychiatric conditions other than paranoia or schizophrenia. 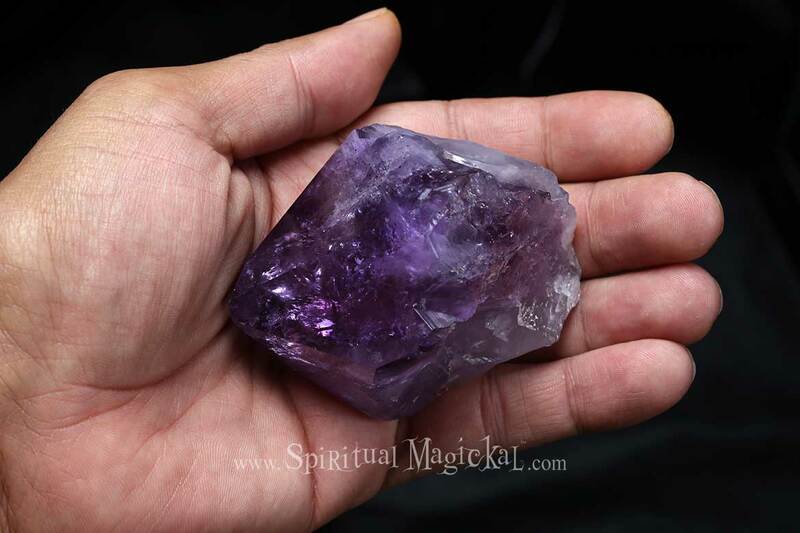 For detailed information about this crystal, please click to our Amethyst Crystals page.